The best time to visit the United States is almost any time of the year. However, as a traveler, the most optimal time for touring the USA relies on the season that suits you best. The US is a huge country situated in North America and boasting almost every terrain you can imagine from picturesque deserts to snow-capped mountains. The Unites States has four main seasons: Spring, Summer, Fall and Winter. The United States has diverse climates across the country. Hot and humid temperature is expected in Florida, dry and warm climate in California and arctic temperatures in Alaska (during winter). The best time to visit the United States should be taken in consideration so that attractions can be fully enjoyed. More often than not, travelers go to the U.S. for its theme parks and other modern facilities. Popular media glorifies the likes of Hollywood and Times Square as major sites. While these truly iconic landmarks bask in the attention of foreign tourists, the natural wonders of the United States are further driven back into the shadows. One of the best places you can visit in the USA is the stunning Grand Canyon. At first sight, the Grand Canyon will take your breath away. Nothing can prepare you for its captivating beauty; not even knowledge of its measurements such as an average width of 10 miles, depths reaching one mile, and a length of over 277 miles. 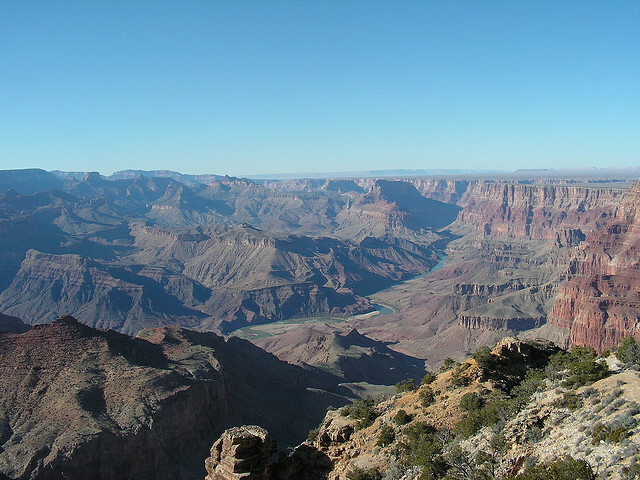 Travelers can go hiking, ride on a mule, and book a rafting trip at the Grand Canyon. Another great natural attraction is Yellowstone National Park in Wyoming. It may be the first national park in the U.S. but, it is far from outdated. Yellowstone National Park boasts many diverse geological phenomena including hot springs, fumaroles, geysers, and mud pots. The geological wonders in Yellowstone are unrivaled to this day. In addition to that, it has abundant wildlife. Yosemite Falls, California is another beautiful location to enjoy during good weather. The waterfall is under the protection of Yosemite National Park. It is famous for being the highest waterfall in North America and the fifth highest in the world. Yosemite Falls possesses unfathomable beauty. It tumbles over scenic jagged peaks, visible from afar. Hawaii Volcanoes National Park is another destination to visit. Its landscape is dotted with craters and appears like a scene from a movie to the moon. Since 1983, lava has been spilling lava into the sea from the Pu’u ‘O’o Vent, creating a cloud of steam. It almost feels surreal to witness an active volcano release lava and continually change the landscape of its surroundings. The USA is vast and holds many amazing cities, natural wonders and warm and inviting people. Don’t miss it on your next trip to North America. If you are traveling from abroad you can apply for US ESTA visa online.